Git is a free & open source, distributed version control system which can be used for projects of any size and complexity. I have been using git for more than past 2 and half years, you can even see my github and I find git essential for most of the projects I have been involved in. If there are multiple developers (be it one developer and one front end developer) you should consider using git. It is a developer’s best friend and even helps you go back to history and see how your code/website looked like may be 2 months back (provided you do regular commits). 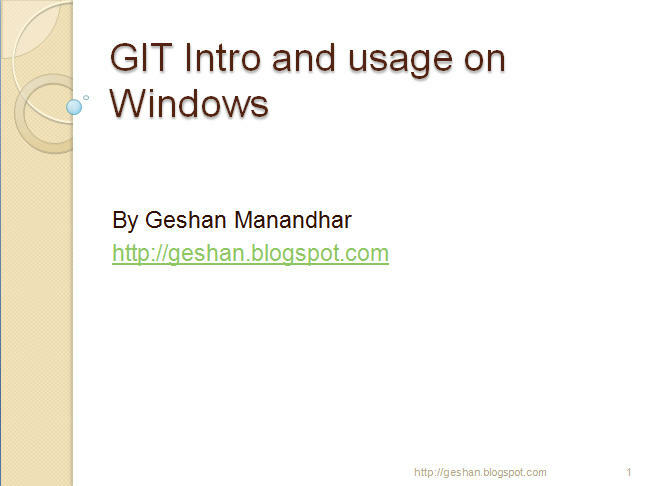 I hope this helps you to get started with git on windows.